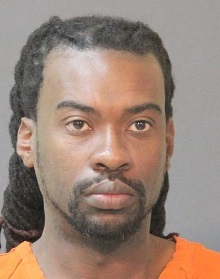 On March 23 the Calcasieu Parish Sheriff’s Office received a complaint regarding a local high school teacher, Raymond P. Johnson, 31, Lake Charles, inappropriately touching one of his students on numerous occasions in May 2015 when the boy was 15 years old. The victim advised detectives the inappropriate contact occurred when they were alone in the classroom. On April 5 after further investigation, Judge David Ritchie signed a warrant in the amount of $25,000 for Johnson’s arrest. On April 7 Johnson was located at his residence and arrested. He was booked into the Calcasieu Correctional Center and charged with indecent behavior with a juvenile. He was released on bond later the same day. CPSO Detective Monte Gentry is the lead investigator on this case. Hope the detectives stay on top of this!! I have a son who was molested when he was a child. He is now 43 and cries often for those years. This man destroyed this young mans life and believe me this was not his first. this man should not be able to bond out for so little money. please don't let this criminal get off. please put him in prison and keep him off of the street.